Local fashion e-retailer One-Offs Yippee! offers a legion of locally-designed goods - all of which are one of a kind. The latest designer to join the ranks, hot on the heels of Danielle Everine, is neckwear line Freedom From Doubt. The handiwork of Jared Zachary, the line of bowties are statement-making to say the least. Best of all, each in this series are entirely unique. Pictured below, the ties are $60 a pop and available now at one-offsyippee.com. 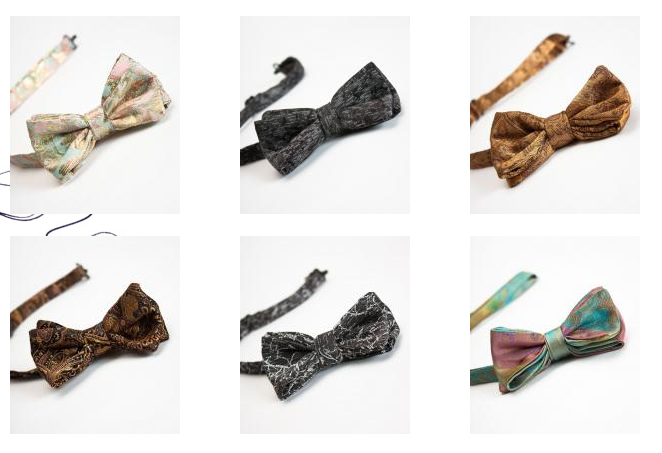 While you're at it, check out the designer's Fall/Winter 2011 collection of bowties, neckties, and pocket squares at freedomfromdoubt.com. Vision's Nic LaFrance for Cosmo U.K.
Maritza Ramirez' "Little Black Dress"
Friday: "FOUND: The Art of Wedding"
Video: Polica's "Lay Your Cards Out"
Just announced: Cliche presents "Avoid the Grey"